You will have password protected access to the Parent Portal, which is an online tool giving you direct access to your daughter, son or ward’s up-to-date attendance and progress data. We do value parental support for both the individual student and at Blackpool Sixth as a whole. If you have any issues using the new portal please email missupport@blackpoolsixth.ac.uk and give as much detail as you can about the issue you experienced. If we have an email address for you on your son, daughter or ward’s record you will automatically be sent details of how to access the Parent Portal. If you are expecting us to have sent your access information for the Parent Portal but you haven’t received it, please check your ‘Junk’ or ‘Spam’ folder before contacting us. 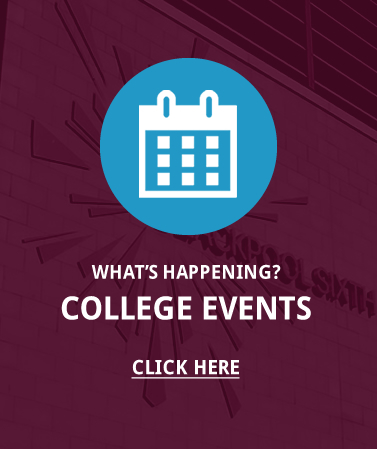 For more information about what’s going on at Blackpool Sixth, please see our latest news. To report a student absent from college, please ring reception on 01253 394911 and ask to speak to your son/daughter/ward’s pastoral mentor. You are invited as a parent or carer of a student attending the college to give your views on the college to Ofsted, the body which inspects schools and colleges. Please click here to complete the survey. Click on any of the links below to read our publications.